Julia has a new view on life – a forward facing one. 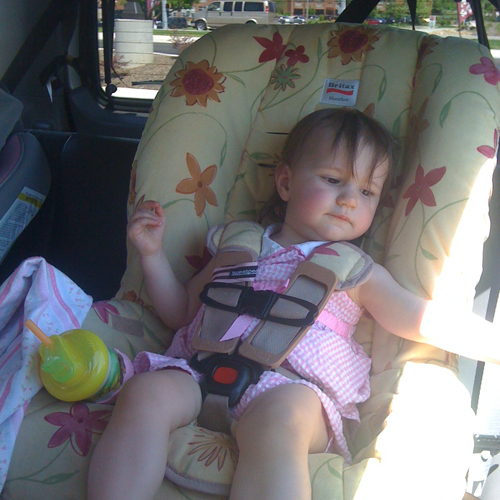 We spent some time at the car wash/vacuum cleaning the car, playing, and turning her carseat around. The time has gone fast, but I’m not too sad about this change. She was so pleased with the new direction of her seat and the car feels so much bigger with the seat in it’s new position. She liked it enough to fall asleep in the seat as we drove home.